The full story of Ida is the subject of a major new book by an award-winning science writer. For more than a century, scientists have raced to unravel the human family tree and have grappled with its complications. Now, with an astonishing new discovery, everything we thought we knew about primate origins could change. Lying inside a high-security vault, deep within the heart of one of the world’s leading natural history museums, is the scientiﬁc ﬁnd of a lifetime – a perfectly fossilized early primate, older than the previously most famous primate fossil, Lucy, by an astonishing forty-four million years. A secret until now, the fossil - "Ida" to the researchers who have painstakingly veriﬁed her provenance – is the most complete early primate fossil ever found. 47 million years old, Ida rewrites what we’ve assumed about the earliest primate origins. So much of what we understand about evolution comes from partial fossils and even single bones, but Ida’s fossilization offers much more than that, from a haunting "skin shadow" to her stomach contents. And, remarkably, knowledge of her discovery and existence almost never saw the light of day. With exclusive access to the ﬁrst scientists to study her, the award-winning science writer Colin Tudge tells the history of Ida and her place in the world. The Link offers a wide-ranging investigation into Ida and our earliest origins – and the magniﬁcent, cutting-edge scientiﬁc detective story that followed her discovery. At the same time, it opens a stunningly evocative window into our past and changes what we know about the evolution of primates and, ultimately, ourselves. 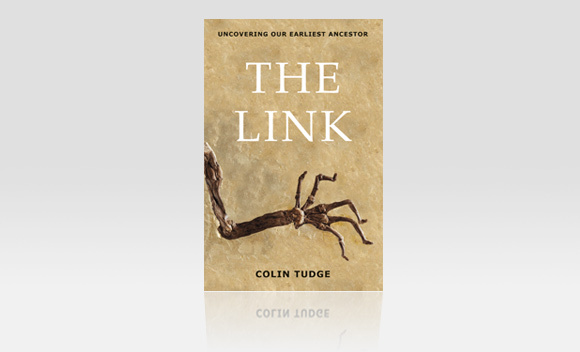 Colin Tudge is a biologist by education and a writer by inclination - on biology, food and agriculture, and the philosophy of science. His books include The Tree, Feeding People is Easy, Consider the Birds, and The Time Before History. For more information about the author, visit to www.colintudge.com. The Link is published across the US on Wednesday May 20, 2009 by Little, Brown and Company, a division of Hachette Book Group. The book will be available to purchase in the US from Amazon.com, Barnesandnoble.com, Borders.com and Powells.com. The Link is published in the UK on Wednesday 20th May 2009 by Little, Brown Book Group, a Hachette UK company. The book will be available to purchase in the UK from Waterstones.com. The Link is being translated for a publication across the world in 2009. It will be available in German from Piper Verlag on August 10 and in French from JC Lattes on September 9, 2009. An audio clip from the book is available below.